Laura McKenna, who holds a B.A. from the University of Virginia and an M.B.A. from the University of Michigan (with high distinction), is a Co-Portfolio Manager and Principal at Select Equity Group, L.P. based in New York City. She co-manages the Small-Mid Cap strategy and is a member of the Firm’s Management Committee. Laura served as Director of Research from 2010 to 2013 and was an Analyst from 2001 to 2010. Prior to joining Select Equity, Laura was a Senior Analyst and Managing Director at Wanger Asset Management. 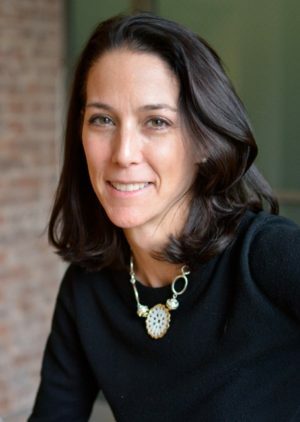 Laura is an alumna of Hathaway Brown School (1984) and current Trustee of the Board and was a member of the Head Search Committee. In the past, Laura has served as a Trustee of medWish and the Cleveland Zoological Society. Laura is an avid skier and lover of the outdoors having spent most of her summers as a youth at camp or canoeing through the Canadian wilderness. She and her husband, Chris McKenna, have four children ages 12 to 18 and reside in Cleveland Heights.